Learning communities are informal meetings where you are surrounded by like-minded peers, where you can feel comfortable to freely exchange ideas, thoughts and questions. Each semester CIRTL@UB hosts on-campus learning community meetings, to facilitate engaging discussions around CIRTL topics. 3/22/19 Register to attend a learning community meeting. The Effective Teaching Seminar Series is for graduate students interested in learning more about effective teaching practices. Completion of all six workshops is part of the standard CIRTL@UB Associate-Level Certification requirements. 3/22/19 Register to attend the effective teaching seminar series. CIRTL is key in connecting students, teachers and scientests in the academic and professional world. It is focused on developing a national STEM faculty that is committed to using and advancing effective teaching practices. We're part of the larger cirtl network. The CIRTL Network is a diverse collection of colleges and universities from both the United States and Canada. There are currently 38 institutions in the CIRTL Network. 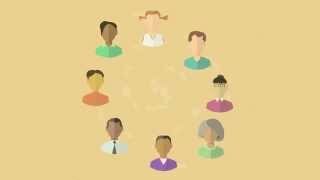 Learn more about the CIRTL Network. Visit the CIRTL Network site for Spring 2019 online workshops and courses. Sign up for the CIRTL Network newsletter for weekly announcements about online CIRTL Network programming. There are no upcoming events, check back soon.